We work with sports clubs and organisations, large and small, and from all over the country, to help raise money for Australian sport. We partner with grassroots and community organisations right through to elite and national levels to help raise funds for vital projects – projects that will help improve the health of our nation, build our communities and strengthen our national sporting identity. Partnering with us means that donations of $2 or more are tax deductible, which is a real benefit to donors and makes fundraising easier. Junior membership at Heidelberg Golf Club offers boys and a girl of all levels the chance to learn and play golf at a highly regarded members’ golf club. 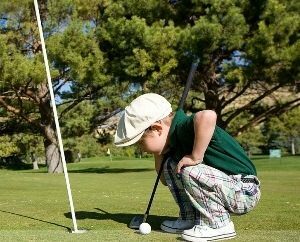 Heidelberg Golf Club has a proud tradition of nurturing and successfully developing junior golfers from an early age into promising teenage and adult golfers in their own right. The Heidelberg Golf Club offers a well groomed championship 18-hole golf course and impressive clubhouse facilities for members and visitors. The Club hosts the Annual Junior Open Amateur tournament in January each year attracting top junior golfers from all over Victoria and offering Heidelberg Juniors an opportunity to shine at their home Club. What are some success Junior Golf stories? Represented Heidelberg GC in the 2012 Victorian Section 1 Women’s Pennant competition aged 14 years. Won 2012 Annual Louise Briers 36-Hole Junior Golf Tournament played at Commonwealth GC with rounds of 81 and 79 aged 14 years. 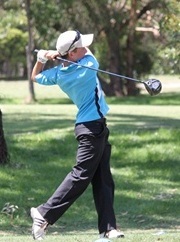 Won 2009 Victorian Primary Schools’ State Golf Championship at Box Hill Golf Club with a score of 77 aged 11 years. Won 2004 Heidelberg Women’s Club Championship aged 12 years with rounds of 78-71-75-77 playing off a 2 handicap. Represented Heidelberg GC in the winning team in the 2007 Victorian Section 1 Women’s Pennant competition aged 15 years. To help in promoting junior golf, Entrance Fees for Junior and Intermediate members there are no joining fees payable. Importantly, there will be no additional Entrance Fee for Junior Members, should they progress into Provisional or Full membership. Annual subscription fees are significantly reduced for junior members in comparison to adult fees. What is the Lion Golf Program? The Junior Lion Golf Program provides a pathway for young golfers from Beginner through to Junior Cadets and finally to Junior Membership at Heidelberg Golf Club. Click here for more information about the Junior Lion Golf Program. When can Junior Members play golf? Juniors can play in every Saturday competition provided you have an A Grade handicap (0 to 9). Otherwise, you can play in the Sunday golf programme (depending on handicap and skill level), and anytime during the week excepting Wednesday unless you have an A Grade handicap. Juniors have reserved access to the tee on Sunday afternoons for games of 4 holes (supervised), 9 holes (semi-supervised) or 18 holes of unsupervised golf. This means it’s all about you with no adults around! What is the Junior Pennant? Will I have to Travel? Junior Clinics Tim is offering weekly junior clinics aimed to be lots of fun, while improving your game at the same time! To enquire about Junior Membership and Junior Golf programmes available at Heidelberg, please contact the office on (03) 9433 5305. © 2019 Heidelberg Golf Club. Website created by KRISSALLE • We Design Engaging Digital Experiences and Services.